The Office of Sponsored Programs (OSP) assists in the identification of funding sources, the preparation of grant proposals and the administration of grants after awards have been made. The OSP will search for funding sources for interested faculty and staff. If you have a research idea or a project that could benefit from grant funds, please contact Heather Bostic (bostich@hssu.edu) or Marc Dorfman (dorfmanm@hssu.edu), and provide them with a brief description of your project and an estimate of the amount of funds needed to accomplish your goals, and they will assist in finding grant opportunities that match your interests. It is the responsibility of OSP staff to help faculty and staff submit their proposal successfully and in accordance with all university and funding agency regulations. OSP will not draft your proposal but will review your proposal to ensure compliance with all HSSU and funding agency guidelines. Program officers at funding agencies are valuable sources of information. When preparing a proposal it is often necessary to get clarification on certain issues from the funding agency. 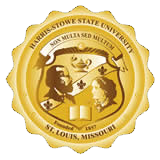 The OSP acts as the liaison between HSSU and all funding agencies. The OSP will be responsible for submission of the grant proposal electronically or otherwise to the funding agency. The OSP will also ensure that all interested parties receive a copy of the proposal for their records once the proposal has been submitted. The OSP will assist faculty and staff who have received a grant in administering their award. Timely submission of reports to the funding agency is the responsibility of the principal investigator, but OSP will assist in preparing the reports as needed. The Business Office will provide all principal investigators with a detailed budget report on a monthly basis that tracks all expenditures from the grant account(s). The Business Office is also responsible for ensuring that all procurement standards are followed and that funds are properly expended and drawdown from federal agencies.